Botgirl's Digital Playground: SLCONSPIRACY ISSUE 02: Ex-Linden Zombies, Giant @rodvik and More! 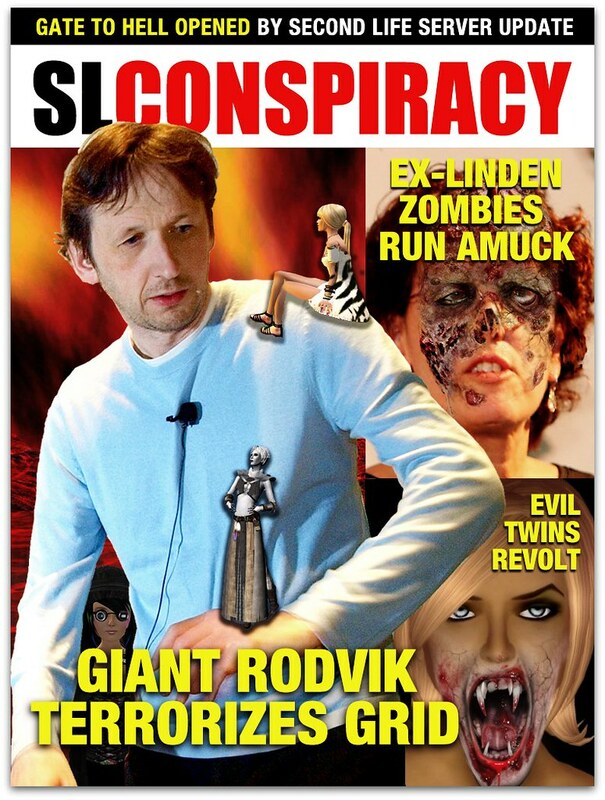 SLCONSPIRACY ISSUE 02: Ex-Linden Zombies, Giant @rodvik and More! Rod Humble photo by Vincent Diamante, utilized under Creative Commons license. Photos of Skate Foss, Honour McMillan and Miso Susanowa courtesy of the subjects. Source for non-Zombie Robin Linden Image © ARS Electronica. "Wh.. what was that?!??! WHAT WAS THAT?!?!? OMG I AM SO SORRY!!!!"